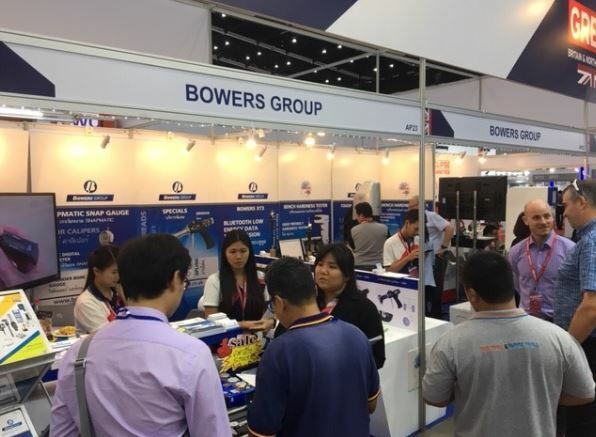 Baty’s newly designed vision system; the Venture XT, was introduced to the far east last month at Thai Metalex, where Bowers Group exhibited a range of metrology equipment on stand AP23. Now an internationally available product, the Venture XT is a state of the art vision system that includes major advances in both capability and software for both contact and non-contact measurement. 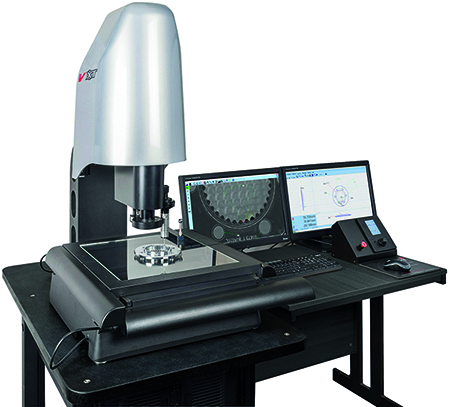 Features include an extended 200mm measuring range in the Z axis, and new FEA optimised column design with integral counterbalance and revised Z axis and lens/touch probe assembly. The Venture XT also boasts faster X-Y axis drives, touch screen compatible software, touch screen precision joystick, greater field of view, and magnification up to 12 x zoom. of hardness testers, Bowers Group’s famous bore gauges, and a variety of exclusive new products including universal gauges, setting gauges and micro gauges. Find out More About the Baty Venture XT can now find and measure from a distance in one move. The image stitching capability also allows a large XY area to be scanned and displayed as a single image. In addition, there is now a ‘layers feature’ that allows other geographical information like DXF files, dimensions and measured features to be overlaid into the camera image and reported. If you would like to find out more about the Baty Venture XT, please visit the Bowers website https://www.bowersgroup.co.uk/baty-venturext. Alternatively, please click here to download a brochure.